Basement! Sought after Rocklyn Homes 3BDRM/2.5 Bath Mcafee floorplan w/DAYLIGHT BASEMENT. Spacious kitchen featuring, Granite Island and countertops, 42" cabinets. Open entertaining floor plan, hardwood floors on main with fireplace. Upper level includes spacious owner suite trey ceiling, spa like master bath with double vanity, separate tub and shower. Roomy secondary bedrooms, guest bath and hallway laundry closet. Private fully fenced backyard with patio. Walking distance to shopping, fitness center and dining. Set apart for privacy yet still central to the city. Driving Directions: I-285 E follow signs for I20 E merge onto I-20 E. Stay on I-20 E. Exit 71 Panola Rd. Left on Panola Rd. Right on Covington Hwy. Belmont Hills will be on the right.Or Follow I-85 S. Merge onto I-285 E. Exit turn right to US278 E/Covington Hwy. 4.5 mi & Cross over Panola Rd. Belmont Hills on right. Listed by On Point Realty, Inc.
2280 Rolling Trail, Lithonia, GA 30058 (MLS# 6515143) is a Townhouse property with 3 bedrooms, 2 full bathrooms and 1 partial bathroom. 2280 Rolling Trail is currently listed for $192,262 and was received on March 06, 2019. 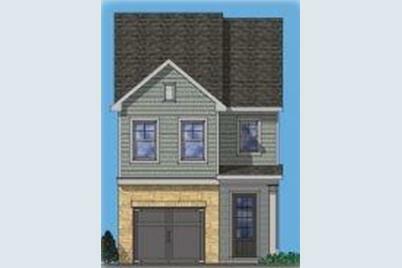 Want to learn more about 2280 Rolling Trail? 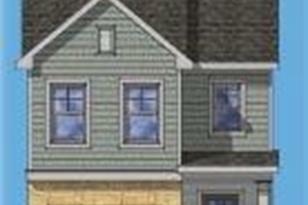 Do you have questions about finding other Townhouse real estate for sale in Lithonia? You can browse all Lithonia real estate or contact a Coldwell Banker agent to request more information.